The cost of doing business can be cumbersome and financially destabilizing at times. There’s a way to save money on getting the necessary SMT assembly equipment needed or to offload equipment that has been replaced by upgraded machinery. For businesses looking for the ability to purchase SMT assembly equipment, Baja Bid just completed a successful multiple site exchange auction, and is gearing up to participate in another. With small business lending down, lines of credit largely unavailable and budgets stretched thin, an SMT auction line event might be the way to go, “Today’s budgets, of course, tend to leave little to no wiggle room. With that in mind, the editorial team at University Business has culled (from the magazine’s recent archives as well as from conversations with institutional and industry leaders) 101 successful ways that ] have found to earn-and avoid burning-money,” reports a study by the University Business publication. Baja Bid, a leader in hosting the best assembly line auction events, states that it has had enormous success in helping other companies through mediums such as its multiple site exchange auction. When coupled with its expert asset valuation, it only makes sense that Baja Bid is a force to be reckoned with in the world of multiple site exchange auction events. Aside from hosting some of the best assembly line auction events in the country, Baja Bid participates in a number of multiple site exchange auction events throughout the year, and offers a buyout option for businesses which much liquidate their assets. In addition, some businesses choose to participate in one of the company’s many SMT line auction events, either selling SMT assembly equipment or bidding to purchase in the best assembly line auction events. Every multiple site exchange auction is a win-win situation for all the businesses which are looking to sell or buy SMT assembly equipment. What’s more, Baja Bid states that it can produce the best assembly line auction because of its experience and various industry connections. The company also points out that each SMT line auction event is well organized with expert services provided before and after the event. 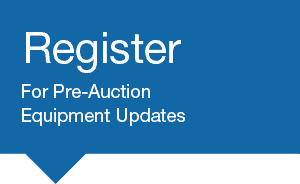 PreviousPrevious post:Baja Bid to Conduct SMT Auction this Week from June 24-27NextNext post:Amy T.